Interesting Facts About DAVV That Every Indori Must Know! Devi Ahilya Vishwavidhyalaya (DAVV) isn’t just another university for Indorians, DAVV is the name that has helped generations of Indore to achieve their dreams with grace and is still pursuing a terrific job. This university isn’t a new fame for Madhya Pradesh but is definitely one of the oldest gems carved with education for this state. In 1964, DAVV formerly known as University of Indore was inaugurated by his Excellency, the former vice-president of India, Mr. Zakir Hussain and later in 1988, the university was renamed after the Holkar Maharani ‘Devi Ahilya Bai Holkar’ as Devi Ahilya Vishwavidhyalaya. This university was established by an Act of Legislature of Madhya Pradesh. Initially, the reach of this university was limited to Indore city only but during the reorganization of universities, its jurisdiction was expanded over to seven other tribal-dominated districts of Indore divisions. These districts are Jhabua, Alirajpur, Dhar, Khargone, Khandwa, Burhanpur and Barwani. The university is separated into three main campuses and together these 3 campuses impart education on more than 9,000 students from several undergraduate and post-graduate courses. 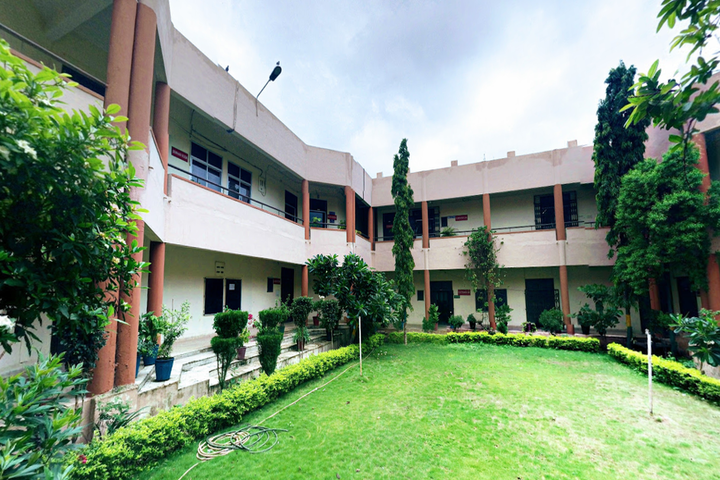 The administrative offices and primary school are held in the campus on Rabindranath Tagore Marg. The Takshashila Campus on Khandwa road is an extended campus which is directly administrated by the university. Complete wide-span of the university is spread over an area of 760 acres, 510 acres covered by Takshila Parisar and 154 acres for Avanti Parisar. The last but not the least Nalanda Parisar which is mainly designated for administrative and official works are spread over 100 acres. DAVV auditorium is the biggest university auditorium in Madhya Pradesh and helps in nurturing a student’s future with a self-made strong personality. The university emphasises on each and every single requirement and provides physical infrastructure, good departmental and central library resources. The university campus is equipped with Wi-Fi facility for students and EMRC department is producing and broadcasting educational television programmes through various platforms. It is also one of the only universities to hold an FM radio Station named Gyanvavni which enhances the learning process throughout the city. For encouraging students towards sports, cultural and extra-curricular, DAVV holds an equipped department of Physical Education, Sports Center, Playgrounds, Gymnasium and Cultural Center. Several social services activities are also regulated by NSS on a regular basis. DAVV stands on its motto with its every single step, i.e. ‘Dhiyo yonna Prachodyat’ which translates to ‘God! Help us to improve our intellect and guide it towards what is right.’ And this motive is ensured correctly under the guidance of Hon’ble Governor of the state as he is the chancellor of the university. For any further queries, other committees of University assist the vice chancellor of the university, Narendra Kumar Dhakad. The university has a panel of well qualified, nationally and internationally acclaimed faculties with 81 professors, 61 readers and 585 lecturers, the total sum of 727 teachers impart education to students. Faculties assigned by the university are high- qualified and reflect the best work on their students. Such a huge number of faculties and the perfect student-teacher ratio make it easy for personalized attention. Devi Ahilya University has adopted a large number of best practices in order to pursue its vision and mission of educating and empowering learners. With 33 teaching departments, this university has proved its sustainability with excellence throughout. If you also wish to pursue your dream with proper guidance and adequate facilities, DAVV is one of the best options you can opt for!